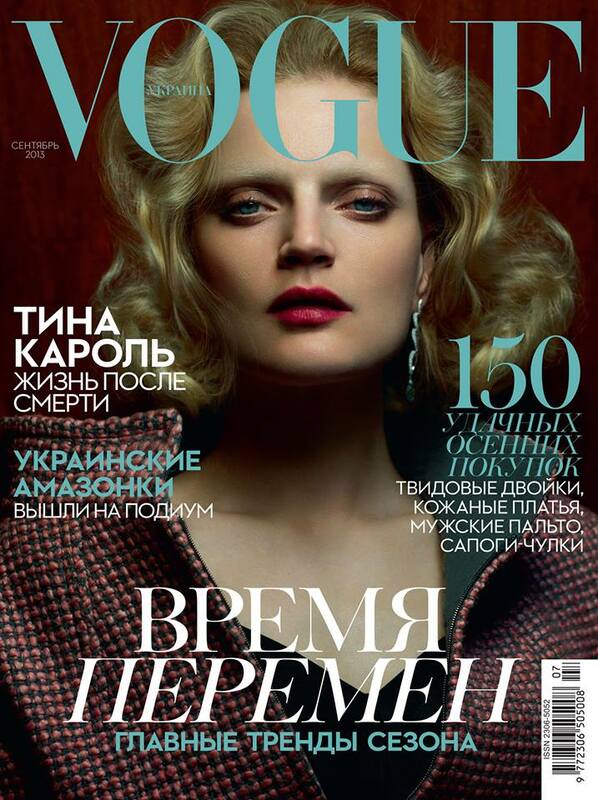 Season of Guinevere – Guinevere van Seenus is the latest cover star of Vogue Ukraine, gracing the magazine’s September 2013 edition. The American model poses for Cuneyt Akerglou in a look from Chanel’s fall collection with jewelry from Chopard. The blonde’s hair is styled in retro waves to match her ladylike demeanor. I just love everything this woman does. She’s like a living Botticelli painting.